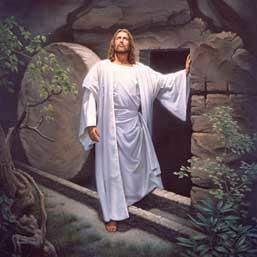 "I Am the resurrection and the Life; he who believes in Me shall live even if he dies." (John 11:25). 3 His countenance was like lightning (Shekinah glory), and his clothing as white as snow. 5 But the angel answered and said to the women, "Do not be afraid, for I know that you seek Jesus who was crucified. May the Lord bless you and your family during this special celebration of LIFE! The tomb is empty - Jesus is alive and active in our lives today! God's Word provides an abundance of passages to guide us in the use of our words and teaches us what can happen if we are not diligent to use our words carefully. Our words have the power to bless or harm, heal or wound. So James 1:19 reminds us; Let everyone be quick to listen, slow to speak and slow to anger. If we listen too little and talk too much, we are conveying to others that we think our ideas and thoughts are more important that theirs. James wisely advises us to do the opposite; become aware of how much we talk and how much we listen. Ask yourself if you think the people that you talk with feel that they are heard and feel their ideas have value? Practice letting others speak first while we perfect our listening skills. We should practice praying, "Help me Holy Spirit" before we speak. Let's choose to use our words to build people up and be disciplined in our communication with others, especially those closest to us, who we are most comfortable with and can easily relax our words and say things we regret later. Proverbs 13: 2-3 says, People eat well with the fruit of their words, ...People who watch their mouths guard their lives, but those who open their lips are ruined. With our words we tell ourselves what is possible and impossible. We tell ourselves who we are, how we should act and what we can and cannot do. With our words we create the events of our lives and influence other people's lives as well. 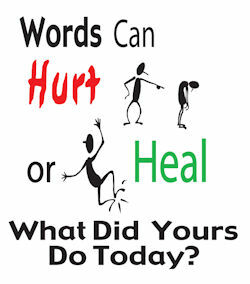 Our words are powerful and can be used to heal or wound. We can create beauty for ourselves and others with our words, or we can destroy everything around us if we misuse our words. Proverbs 12:9 says, Truthful lips endure forever but a lying tongue lasts only for a moment. So we also have to be careful how we speak about others. If we embellish a story about our neighbor, gossip or tell lies, we greatly harm them and our own reputation. Let's be careful to use our words to build others up, or if that's too difficult, practice silence... listen. Be still. Let's choose to create beauty and love and healing with our words today and everyday and bring a little heaven here to earth. Greetings to all family members of MLS-USA. By the grace of almighty Jesus everything is fine here and we hope the same from you all. Here we are sending the testimony of Mr. ABRAHAM one of our pastors of MLS-INDIA. Mr. ABRAHAM has been working in Kampalayam village for the last 15 years which is 25 KM away from his home town. He has about 40 members in his church and most of them are from a non-christian community. He holds his gospel service in the village at fellow believers' houses which is being offered by some of the church members. Apart from Sunday service, he holds evening prayer every Wednesday, fasting and prayer on every Friday for women, and Sunday school for children and youths. Recently he has been visiting a few neighboring villages in and around his village. One of the villages that he is visiting is KALAVAKUR which is again 25 KM away from his service place Kampalayam. From this village most of the people are not Christians, we can say typically they are orthodox HINDU believers. He chose to visit this place as he took it as a challenge. At the beginning of his visit to this village there was a protest by a group from the village that had not allowed our pastor ABRAHAM to enter, but he did not lose his hope. He started meeting some young people at the outside of the village and he started speaking to people that his visit was not for the religious conversion but teachings of Jesus. Gradually people believed in Him and our pastor to teach Christ in their village. 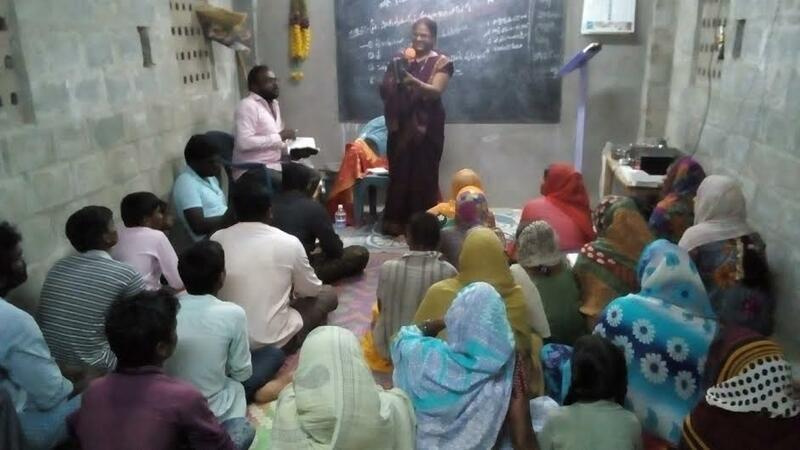 He has been visiting this village for the last six months now and almost 30 to 40 members are attending his gospel service in the same village. His determination and prayers are making a difference in the village. As a result, some of them are offering their place to hold a gospel service. 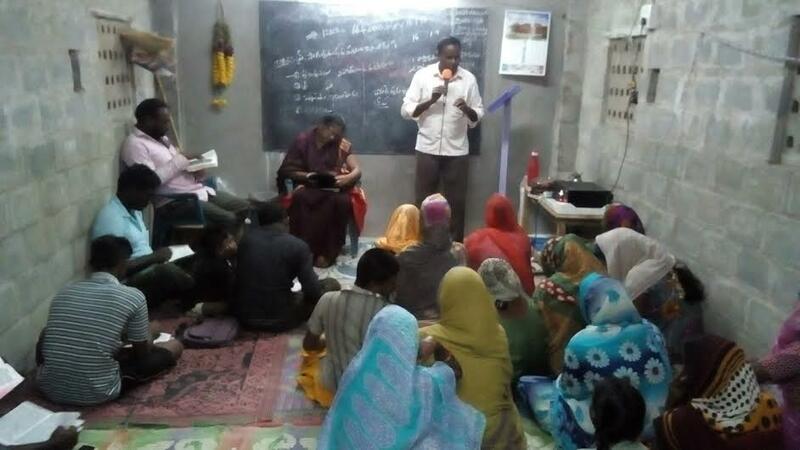 Now our pastor, Mr. ABRAHAM, is visiting this village every Sunday evening to hold a prayer meeting. On June 27th he had held a prayer meeting for the village people. There were about 50 people who participated in this blessed meeting. This meeting was held in the presence of our Director, Mrs. Mercy. We all believe it was a blessed gospel service because where our pastor had once been restricted by the people of the village, the same people became believers of Christ and participated in the holy gospel service. The photos of the gospel service are enclosed with this email. All this is happening only because of you, your prayers, and financial support through MLS INDIA. May GOD Jesus propagate His love all over the world; and as part of our role, we will take responsibility to spread our heavenly Father's love across INDIA. We are sure that we will reach it. We are praying for this holy mission to reach every corner of our country. Praise the Lord. 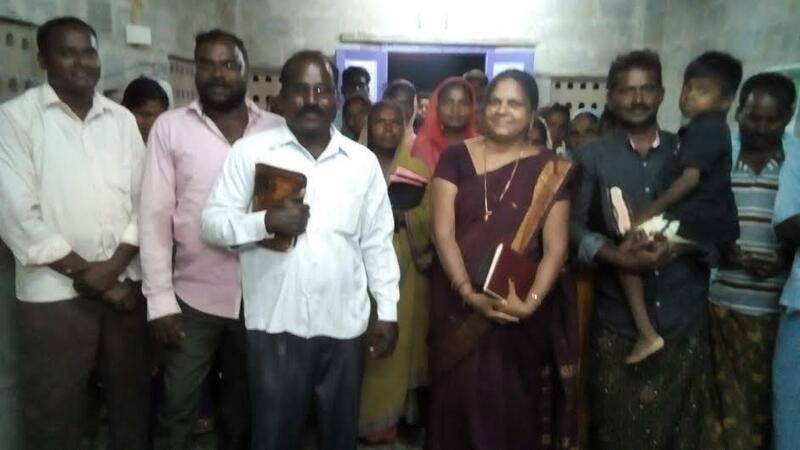 Pray for our pastors and MLS INDIA. But, it replaces the dusty old with the spotless new. Maybe you've done this, each Spring my mother-in-law systematically cleaned her entire house in preparation for Summer. Everything got her attention. Drawers were cleaned and rearranged. Cabinets were scrubbed. Curtains vacuumed. Windows became spotless inside and out. Bedrooms. Bathrooms. Living-room. Dining room. Kitchen. Pictures. Knickknacks. All the nooks and crannies received care. Although exhausting the end the result was a satisfying thrill of accomplishment. My mother-in-law's goal allowed her family to enjoy the fresh and new. Her family was pleased. In a similar way, our Heavenly Father has involved Himself in Spring cleaning. God tossed the Old and replace it with something fresh and New. The Old Covenant was insufficient. The New Covenant is sufficient (because of Jesus). The New Covenant traded religion for a relationship. The Old Covenant way of living and pleasing God has been exchanged for the New Covenant way of living and pleasing God. The New Covenant replaces the Old Covenant. In review, the New Covenant is unlike the Old Covenant. The Old Covenant promoted keeping rules. The New Covenant promotes love as you have been loved. The Old Covenant misses intimacy. The New Covenant boasts intimacy. 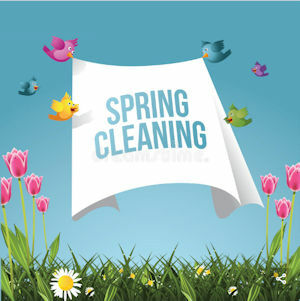 Our Heavenly Father's chore of Spring cleaning is over. Live in the Summer Sonshine. Just when we think we're heading into another drought season, the storehouse of heaven opens up and drops a load of snow and brings a bounty of rain. Isn't it so like God to do that! In the final days of winter, according to our weather experts, the rain and snow gauges were showing next to nothing. The reports streaming across the television said that this could possibly be the worst February for precipitation ever on record. NPR reported last month that, "California appears to be headed back to drought." Well -- not so quick. 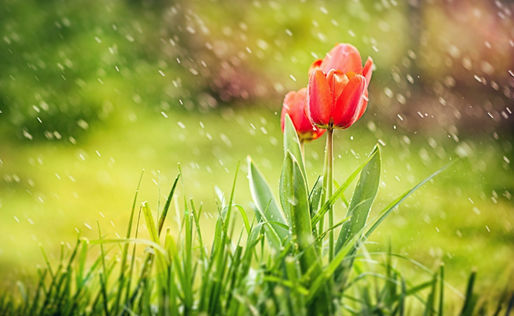 The end of February has passed, the first part of March is here, along with a measurable amount of rain and snow. We had snow falling at our low elevation of 2,000 feet! Look what the Lord has done! So beautiful. Something about the snow falling comes with it a sense of peace, of restoration, hope, and newness. Reading in Job 38:22, God speaks to Job out of the storm about His storehouses of snow. Though He's telling Job that those are His reserves for times of trouble, for days of war and battle, but perhaps He cracks open those storehouse doors from time to time, pushing aside our pessimism, and leading us to shout out, "God, You are so good!" Yes, He may wait until the fourth quarter, but I'm believing that He has heard the prayers of His people. He heard Elijah's prayer for rain. It hadn't rained in 3 1/2 years and Elijah prayed; and God sent the rain! The Bible says that Elijah prayed again and the heaven gave rain, and the earth produced its fruit (James 5:18, 1 Kings 18:41). As spring breaks forth, the flowers will burst open, the grass will turn green once again, the butterflies will leave their cocoons, the birds will start singing their songs. After the winter the spring comes, and we too have a song to sing. Sing of the joy of your salvation, praise the Creator, your redeemer and Lord. Sing Him praise while you have your being (PS.104:33). So Jesus brings the rain, once again. He brings hope, He brings restoration, He brings new beginnings --- He brings us a new season ... Hello Spring! Imagine the Creator looking over everything created. Imagine 2000 years ago God sent us Jesus. 2000 years seems like a long time but it isn't for God. 2000 years isn't a long time for God. 5000 years isn't a long time for God. 10,000 years isn't a long time for God. God lives inside and outside of time. No matter how big the number, it doesn't matter. God isn't affected by a number in time. What's more, God is able to do a lot with a little amount of time or a big amount of time. For example, Genesis says, "God said let there be -- " (and it happened instantly). We need to see time with fresh eyes. To me, this means seeing things differently. What things? Everything. My marriage. My children. My friends. My enemies. My life. This happens when I view things with fresh eyes. For you, it means the same as for me. Everything changes when we see with fresh eyes. The challenge is to view our circumstances and world with fresh eyes. I asked myself, "Can you see the big picture?" Do you see what's going on? And I answered myself, "Sure, contempt and chaos are everywhere." Chaos and contempt exists in some homes. Contempt and chaos exists at some jobs. Chaos and contempt exists in some churches. Contempt and chaos exists in our politics. Chaos and contempt exists within me. Advent offers me a new perspective. It offers me a chance to exchange contempt and chaos for peace and joy. And, what does peace and joy look like? It looks like respect for God because he kept his promise. It looks like Jesus feeding the spiritually and emotionally hungry. It looks like loving someone else just as God loved me. In the big picture, it's true. The door of opportunity faces us. When we knock the door is opened. In the big picture, we're no longer trapped by contempt and chaos. We can delight in the new perspective. In Advent, God extends another chance to view life from the new perspective. This perspective honors and respects God with our next thought and next action. This perspective dares to reject calling God a liar. This perspective challenges empty ridicule of God's gift to us. So, what's the benefit of seeing and believing this new perspective? How about anxiety exchanged for peace that passes all understanding? How about joy exchanged for chaos and contempt? How about it's okay to let God love you? 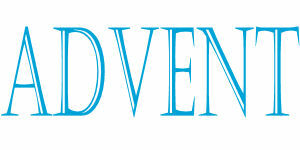 Advent offers you the New Perspective of Jesus. 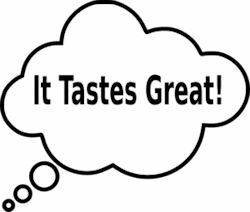 I once had the idea that I could lose a lot of weight if I followed the "taste diet." This diet was my own invention. What this diet essentially required was for me to satisfy my hunger with tiny tastes. Well, at various times of the day when I got hungry I'd pick a taste. I would taste something sweet. Or, I would taste something sour. Or, I would taste something salty. Or, I would taste something savory. Or, I would taste something bitter. a small nibble of unsweetened dark chocolate. Oh yes, I need to mention, there was one other thing before I tasted any of these, I drank one eight ounce glass of water. I could enthusiastically tell you that this diet works. I recommend it. Of course, it's based on my experience. I didn't do any scientific rigmarole. I don't have any written down evidence other than, like the formerly blind man (John 9:25), I once weighed this much and after one week on the taste diet, I weighed this much. Experience is great, but I realize sometimes someone asks for solid stats. For instance, I can say I'm a Christian based on experience and that's fine, it may be accurate, but it isn't necessarily enough for everyone. This is why when John sent his disciples to ask Jesus "Are you the Messiah or should we look for someone else?" Jesus gave John (through his disciples) hard proof. "Go and report to John the blind see, the lame walk, the deaf hear, the lepers are clean, the dead are raised to life, etc." (Matthew 11:2-6). Should someone ask you why you are a Christian? Tell them because it's true. And then be ready to give them some plausible, sensible, and intelligent information. Such as you can find here. I know it's a personal question, .. but why are you a Christian? Do you have a reason, experience, or evidence for your Christian belief? What is it? You might say, "Well I've always been a Christian." Or maybe you'd say, "Because the Bible tells me so." Or you could say, "I was going that way and Jesus convinced me to go this way." These are reasons of blind faith, accidental faith, or emotional experience. These are OK. These are a part of why you believe, but do you have evidence for what you accept as genuine? Could you say, "Because Christianity is true based on the evidence." And what proof would you offer the atheist, agnostic, or skeptic? Would you present a cosmological defense for your Christian faith? How about a teleological argument? Or perhaps evidence that supports a universal Moral and Ethical system? These are three possible rational, credible reasons for why you are a Christian. In our current world where science is king, questioners won't settle for less than sound and sensible evidence. As a Christian are you prepared to provide this for them? If not, you might want to train yourself to give a sensible reason as to why you are a Christian. I read J. Warner Wallace's book "Forensic Faith". (Good summer reading). And reading this book led me to Apologetics Press (http://apologeticspress.org/) where you'll find a ton of evidence for why you are a Christian. Why should you care? Because someone's eternity is at stake. P.S. I hope this makes sense. If you have questions please call me when you're able. He is truly amazing, and His love for us has no boundaries. His desire is to be an important part of our lives, and for us to be co-laborers, or co-workers with Him. Every Sunday here in Sacramento, for the last four months, we have been studying the Gospel according to John. It has become so evident that we are to be active in our relationship with Christ. From the beginning of John's Gospel, Jesus allows others to be a part of His miracles, especially that of turning the water to wine. He asked the servants to physically fill the stone pots with water (2:7). Remember John's account of the feeding of 5000? Jesus allowed His disciples to work with Him and feed them all. They were physically active in distributing the food (6:11). How about when Jesus raised Lazarus from the dead? Lazarus had been dead four days and Jesus said to His disciples, "Nevertheless let us go to him" (11:15). 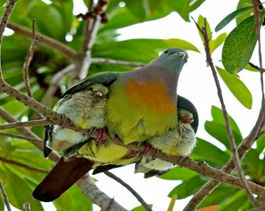 When they arrived, others were allowed to be a part of this amazing miracle. Jesus had the people physically "take away the stone" (11:39). We both know Jesus did not need their help, but it was His choice to allow the people to physically get involved. He desires for you and me to work with Him! This Sunday we will close our sermon series on the Gospel according to John with his recording of the final miracle that occurred following Jesus' resurrection. You know the story well. The disciples have been out in the boat fishing all night and have caught nothing! I know about fishing and not catching anything! The next morning you can imagine their fatigue and frustration. Suddenly they see a Man on the shore; He, Jesus, asks if they'd caught any fish. They respond, "No." Remember now, He wants them to be a part of His work, His miracle. So He tells them to throw their net on the right side of the boat, and the net is immediately filled with fish! They try to physically bring the net in, but cannot! "His desire is to be an important part of our lives, and for us to be co-laborers, or co-workers with Him." He so desires for us to work with Him, for us to be co-laborers with Him. He could easily have performed all His miracles without our help, but He chose to include those around Him. His desire is for us to be physically active and involved with His work. Peter was so excited, so physically active that he jumped off the boat and into the sea, and swam to shore! "It is the Lord!" (21:7) John spoke. He recognized the Man on shore was Jesus! 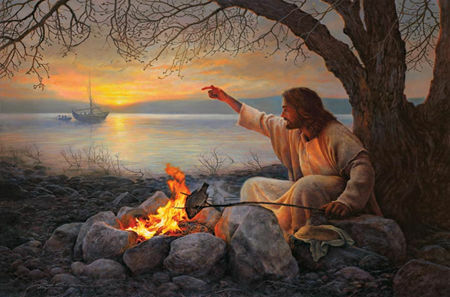 When they all reached the shore, they saw that Jesus had already gathered some wood and made a fire; He had also prepared some fish and bread for them. (21:9). What really struck me were these words spoken by Jesus. He said to His friends, the disciples, "Bring some of the fish which you have just caught." He does not need our fish! His desire is for us to participate with Him. He wants us to be co-laborers with Him! It is an amazing privilege to participate in the work of our Lord Jesus Christ every day! Jesus doesn't need our help for anything! But He loves us so much that He wants us to be a part of His work, His plan, His eternal Kingdom. His desire is to be an important part of our lives, and for us to be co-laborers with Him. If you haven't recommended the book of John to your loved ones, please consider it. "These things are written that you may believe that Jesus is the Christ, the Son of God, and that believing you may have life in His name (20:31)." 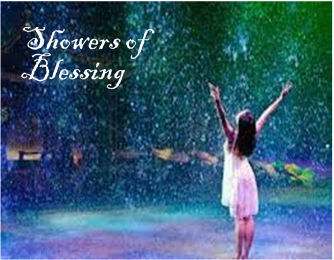 May Gods blessings abound in your life.